You’re on Wedding Wishes. See wedding and marriage menu at bottom of page. When someone you know is getting married, you want to pass on some well chosen words to express your excitement and to congratulate the soon-to-be or just wed. We’ve got you covered. Look below and see if you find some wedding wishes to meet your needs. Marriage is considered by many the culmination of success in life! You’ve found the one you love. So, it is one of the most important moment in your life. It is also the time when you should be there alongside your loved ones – making them feel special, blessed, and loved. It is also the time to shower them with the best words you can imagine for them, wishing them a fruitful, new journey in life! May God love and keep you all the days of your life. Here’s to a great wedding and an even better life together. May your marriage blessed with love be an everlasting source of strength for you two. As God blessing enriches you both, look to each other for strength. Lean on each others strengths and forgive each others weaknesses. Remember to always take care of each other first and foremost; everything else will fall into place. We’ll say a prayer for sunny weather and to bless your wedding. Kindest wishes on this special occasion of your wedding for a very special couple. Tip: these wedding wishes work great for scrapbooking and captions for Instagram and Facebook. Daughters are meant to make life a paradise for everyone! When your princess leaves you for a man who loves her, it is the most important time of your life to tell her what she meant to you and what you wish for her new life. I have always imagined how I would feel on this day. But now I know how great it feels. I want to wish you all the happiness in your home and life! It feels that it was only yesterday that you came into our lives. Wherever you will be in life, you will always be our princess! We wish you all the happiness and prosperity in your new home! The ceremony wedding is just the beginning of a beautiful life together – enjoy every step along the way. My life’s dream has been to see you succeed in life. Now you have found a man who loves and respects you. Nothing more matters to me! I wish you to be happy forever! You have been the greatest daughter and I know you will make a great wife! I have loved you since the day you were born! I have seen you turn from my darling baby to a beautiful bride. You are the story of success of my life and I wish you endless happiness and joy in your new journey! A blessing marriage prayer that you two will always love each other as much as you do now. I am the happiest mother in the world because my princess has found her prince charming! I wish your new home to be a place full of love! You came into this world, you won our hearts, and now someone has won yours! May he love you more than we loved you! I wish the best for you throughout your life! Sons have always stood as the symbol of pride for parents! So your son moves ahead in life to form a family of his own, it is the right time to tell him how you have always felt for him! It also the best time to wish him and his bride the best for their future life! This is just the beginning of beautiful things in your life! We wish you and your life to have a great life together! I remember the day when you first started walking. There was a day when you couldn’t even spell your name and here you are getting married to your love. What more can I ask for? Yes, you got hitched! I wish you to a great life being together! Yours is a match made in heaven! Be always happy and stay blessed! Our warm wedding wishes to you and your lovely wife. It is easy to tell when you are in the presence of true love! We are so happy to see you both together and wish you to remain so for the rest of your life! We couldn’t be happier for you on this day! Wishing you a lifetime of happiness! Only the extra lucky get to have a sister in their life! And when it is time for her wedding, you cannot afford to miss it for anything. Your words and presence can mean the world to her. What I like the best about your marriage is that you two look madly in love with each other! My best wishes on finding the man who loves you so much! A beautiful dream is coming true, and I wish that many other dreams will now come true in your life! My best wishes for a happy and prosperous future with the man you love! Here’s to a new and happy chapter in your life! Cheers and best wishes to my sweetest and dearest sister! You are no longer a Miss, but you will always be my Sis and princess! I wish you all the love in your new life! A brother is someone who loves you with all his heart even when he knows all your faults! He’s also the only one who speaks in a language only the two of you understand. Let your wedding message be something he will remember for the rest of his life! It seems like it was only yesterday that we were playing together and here we are! It seems like a dream! I wish you a happy married life ahead and that all your dreams come true! You were always the naughtiest of all but we all loved you for your pranks! Now I know that you have been ‘domesticated’! Bravo on your marriage and my best wishes for a happy and loving life with your future wife! You’re as beautiful as the day we met. You’re my partner, my lover, my friend. I’m mad about you – always have been and always will! Looking forward to a life together. Can’t say how lucky I was to have found you. Can I have this dance for the rest of my life? (Groom To Bride) Thanks for being so amazing in every way–for loving me so completely. You make me want to be a better man spending my days with you. I am so proud you chose me. 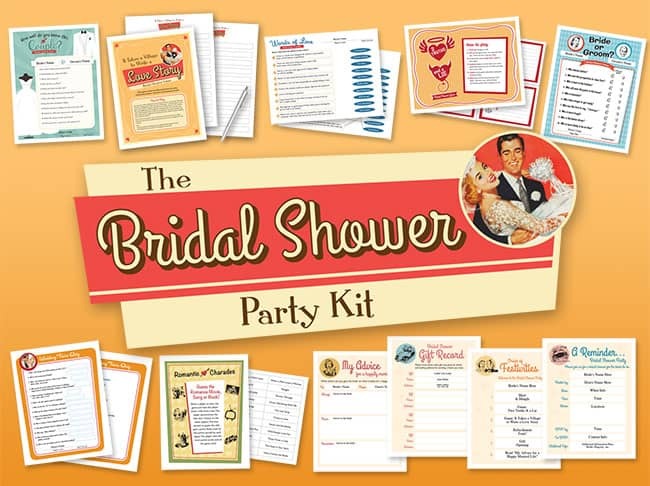 Seven bridal shower games, three helpful host forms and one bride keepsake. Click to learn more. This is the beginning of our forever. You’ve always been my source of inspiration and joy. (Bride To Groom) I love you. Every time I say it, every time I hear it, I’m even more thankful to be marrying you. The best day of my life – by far! All the little things you do make me love you! Today, tomorrow and always: I love U! A friend is someone who stood by you through thick and thin. So when they are moving up in their life and making a new life, it is the best time to show how important they are and how thankful you are to have them in your life. Wish you a wonderful wedding ceremony with tons of amazing memories to follow! You’ve both done well to find each other as partners for life! My best wishes on one of the most important and special days of your life! I wish a joyful and prosperous life to both of you who truly deserve each other! Much love to you both. Excellent! May your joy last forever. YES! Our best wedding wishes to a beautiful couple. Congrats. My congratulations on tying the knot! This is a great day when two lives and hearts are united! Wish you a happy and prosperous future together. May you be rich in everything in your life, most importantly in your love for each other! Have a great marriage and a greater married life! May your love for one another always shine brightly. May your wedding day be all that you wish for!! I already know that all your planning will make for a special day filled with lots of wonderful memories. All the very best and looking forward to catching up with you both after the honeymoon. Lots of love. Thinking of you both and wishing you all happiness as you celebrate the joys your marriage has brought. Congratulations! Wishing you lots of joy and happiness on this special day. May it be the start of a wonderful and exciting life together. Lots of love. As you go through this life together, remember this day forever. Wishing you many years of love and happiness. With love to a special couple whose happiness together warms the hearts of everyone around them. Well done! Words are just not quite enough today. Wishing you both the happily ever after you deserve. Cheers on your wedding day! Your wedding day may come and go, but may your love forever grow. To the perfect couple! A special wish for a sweet couple: a lifetime of happiness! Warm wedding wishes for the couple that was meant to be. Celebrate love, life and happiness! A wedding wish for you: Enjoy every moment of your journey together! Thank you for enabling us to participate in this beautiful day! We’re so excited you tied the knot! Congrats! Heartfelt congratulations on your special day, we wish you joy and happiness through all the days of your lives. May the love and happiness you feel on this special day last for many years to come. Well done oh beautiful couple. Wishing you a wonderful journey as you build your new life together. Taking the plunge is a lot easier when you’re with the perfect partner. You both are! Each of us is truly excited that today has finally come! May it be a special and unforgettable one with a lot of wonderful moments. May your life together be as joyful and happy as your love and may you both continue to shine in each other’s life. Best wedding wishes for a happy married life together! Happy married life to an adorable couple! Celebrate love and your new wife – happy married life! May this special day be all that you planned for and a whole lot more. Happy married Life! May love and laughter light your days, and warm your heart and home. To a happy married life. The most enjoyable part of life is sharing it with the one you know the best. Congratulations on your wedding! The start of something beautiful begins with great ingredients. Best wishes and congrats! Hoping that your love grows stronger every day and wishing you lifetime of happiness! Congratulations on your wedding! May your “happily ever after” be all that it should be. A heartfelt congratulations! Seal your marital bliss with a kiss today and every day! Congrats! Congratulations and best wishes to our favorite couple! Joyful wedding wishes to the perfect couple. 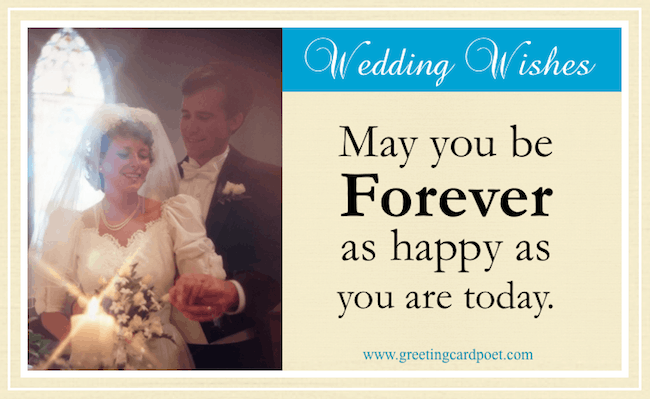 Warmest wedding wishes on a wonderful life together. Congratulations! Live well, love much and laugh often = the recipe for a great marriage. Congrats! We all want the best for you both on this special day and we hope that your future is a long and happy one. Lots of love. We’re all really excited that the big day has finally come!! We hope today’s ceremony all goes to plan and that you can look back with fond memories. All the best and we look forward to catching up with you after the honeymoon. Lots of love. We’re really excited that today has finally arrived!! May it be a special and memorable. Good luck for the future. Your love will light the way. The wedding vows are done, now let’s have some fun! Our wedding wishes for you our lives of joy and happiness. 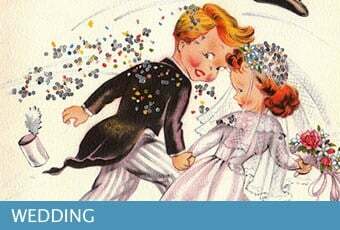 If you have any suggestions for wedding wishes, please let us know via the Contact page. Thanks.